Israel-Lebanon. Israeli Defense Minister Moshe Yaalon said today that Israel had received reports via the UN indicating Hezbollah does not plan further military strikes following its attack yesterday that killed two Israeli soldiers and wounded seven others. The IDF struck Hezbollah operational positions in Lebanon in retaliation. Spain’s ambassador to the UN blamed Israel for the death of a Spanish soldier, on detail to UNIFIL, who was killed in the crossfire. An IDF spokesperson described the events yesterday as “a severe escalation on our northern border” while Israeli Prime Minister Benjamin Netanyahu blamed Iran for the attack. Hezbollah officials hinted that yesterday’s attack came in retaliation for a suspected Israeli airstrike ten days ago that killed an Iranian general and a top Hezbollah official, Jihad Mughniyeh, in the Syrian part of the Golan Heights. ISIS. Syrian Kurdish forces backed by Iraqi Kurdish “peshmerga” and U.S.-led coalition airstrikes successfully regained control of the northern Syrian town of Kobani from ISIS on Monday. The victory follows a four month long battle for the town that left over 1,300 dead. Syrian Kurdish forces reported that they were now moving “to liberate villages to the east and the south.” The United States Central Command confirmed on Monday that around ninety percent of Kobani was now controlled by anti-ISIS forces. Jordan. 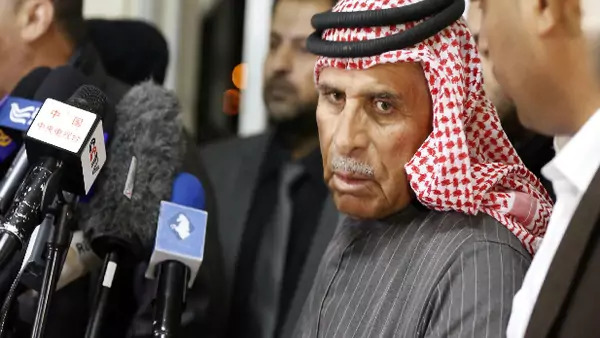 Jordan yesterday called upon ISIS to release its downed air force pilot, Muath al-Kasaesbeh, along with Kenji Goto, a Japanese journalist held hostage by ISIS. Jordan offered to release Sajida al-Rishawi, who is on death row in Jordan for her role in a 2005 suicide bomb attack that killed 60 people, in exchange. Protests erupted al-Kasaesbeh’s hometown of Karak, some of them critical of Jordan for participating in the anti-ISIS coalition. Al-Kasaesbeh’s father appealed to King Abdullah to facilitate his son’s release. Al-Kasaesbeh has been held by ISIS since December when his jet crashed in Syria during a bombing mission against the group. The Japanese government, a major Jordanian donor, has pressed the Jordanian government to help bring about the early release of the Japanese hostage. Saudi Arabia. President Barack Obama cut short his state visit to India on Tuesday and traveled to Saudi Arabia to offer condolences following the death of King Abdullah bin Abdulaziz al-Saud. The president led a large bipartisan delegation representing former and current officials, including two former secretaries of state and four former national security advisors. Obama was received by the new Saudi monarch, King Salman, in his first official meeting with a visiting foreign dignitary as the custodian of the holy places. Iran. Senator Robert Menendez announced on Tuesday that he and other Senate Democrats would postpone their support for the Nuclear Weapon Free Iran Act of 2015 in the Senate until March 24, 2015. The bill, which was introduced this week and is co-authored by Senators Robert Menendez and Mark Kirk, would impose new sanctions on Iran if the nuclear negotiations between Iran and the P5+1 countries fail to establish a comprehensive political framework by June 30, 2015. The proposed bill would provide the president with the power to waive the sanctions on a monthly basis after June 30. President Obama had previously threatened to veto the bill, saying it would risk severely jeopardizing the ongoing nuclear negotiation talks with Iran. Eighteen demonstrators were killed, and hundreds more arrested, last weekend by security forces in protests marking the fourth anniversary of the revolution that toppled Hosni Mubarak. Hundreds of protestors attended the subsequent funeral of one of those killed, Shaimaa al-Sabbagh, a noted poet and activist who was a supporter of President Sisi. Egypt’s interior minister declared today that an investigation into Sabbagh’s death has been opened, and promised to prosecute any members of the security forces who are found responsible. Meanwhile, Gamal and Alaa Mubarak, the sons of ousted Egyptian leader Hosni Mubarak, were released Monday after 18 months in prison. The two sons await retrial on corruption charges. Libya.The United Nations Mission for Libya (UNSMIL) announced today that the country’s two rival governments, backed by armed militias, have “agreed in principle” to move the peace negotiations to Libya, after another round of talks were held in Geneva on Monday. Meanwhile, a group calling itself Islamic State-Tripoli Province claimed responsibility Tuesday for the attack on the Corinthia Hotel in Tripoli. The suicide attack killed nine people, including an American security contractor, David Berry. Bahrain. The trial for Sheikh Ali Salman, the leader of the Bahraini opposition group, Al Wefaq, started yesterday at Bahrain’s Higher Criminal Court. Salman, was arrested by the Bahraini authorities on December 28, 2014, for “promoting the overthrow and change of the political regime by force” and for inciting disobedience and hatred in public statements. Salman denied all charges. His arrest sparked almost daily protests amongst the Shiite community in Bahrain, and was condemned by the United States, Iran, and international human rights groups. Yemen. Houthi leader Abdel Malik al-Houthi blamed southern separatists for the current political impasse in a televised national address on Tuesday. An emergency session of Parliament, meant to address President Abdu Rabbu Mansour Hadi’s resignation last Friday, failed to convene. Al-Houthi claimed that “this country is for all of us and can fit all of us,” and proposed new talks. On Tuesday the southern parliamentary bloc called on the the United Nations and the Gulf Cooperation Council to allow the south to exercise self-determination through an UN supervised referendum.